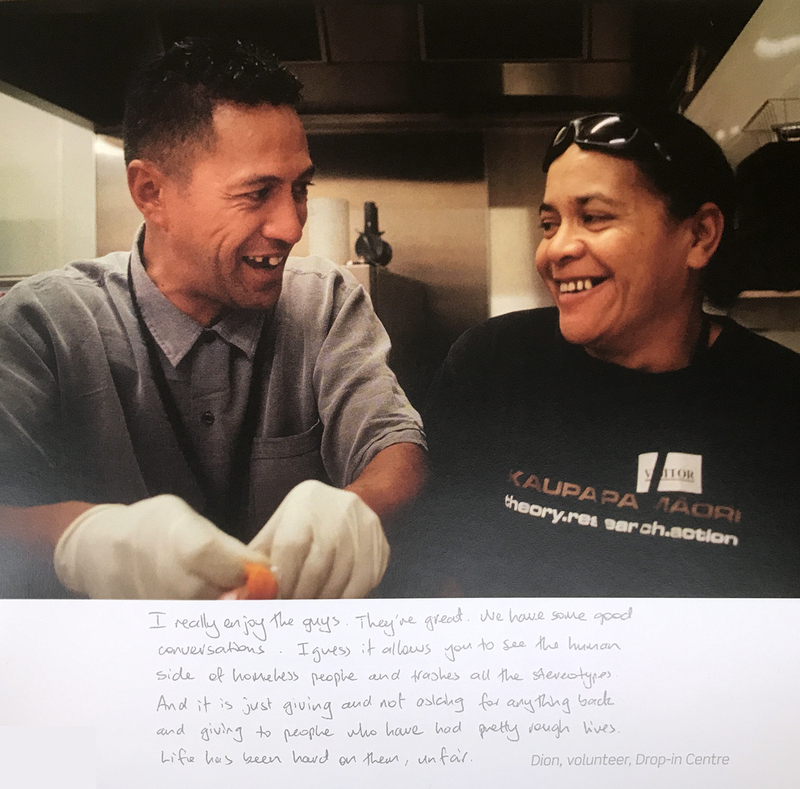 Capital Foundation is an organisation set up to raise corporate funding for Auckland City Mission – a charity working with homeless people in Auckland NZ. The typical donation that they handle starts at $150,000 upwards. 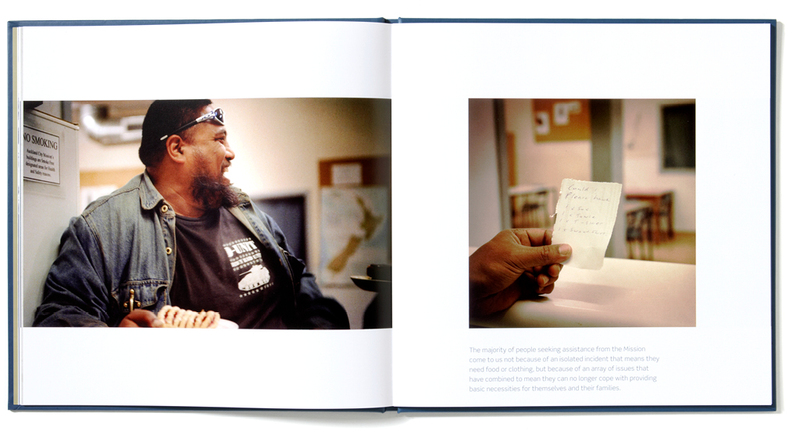 They approached Simon Inc with a brief to design a gift for their donors. The gift was to say “thank you” from Capital Foundation, but also was to be something that the donors could then show to their stakeholders to show them where the funds had been used and why they thought it was a worthwhile charity to support. 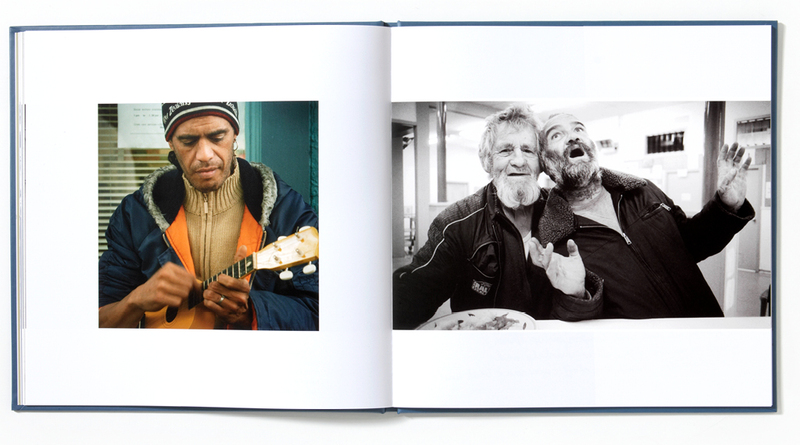 Our solution was to commission documentary photographer Serena Stevenson to spend two weeks within the mission itself, meeting the people who use it as well as the staff and volunteers. 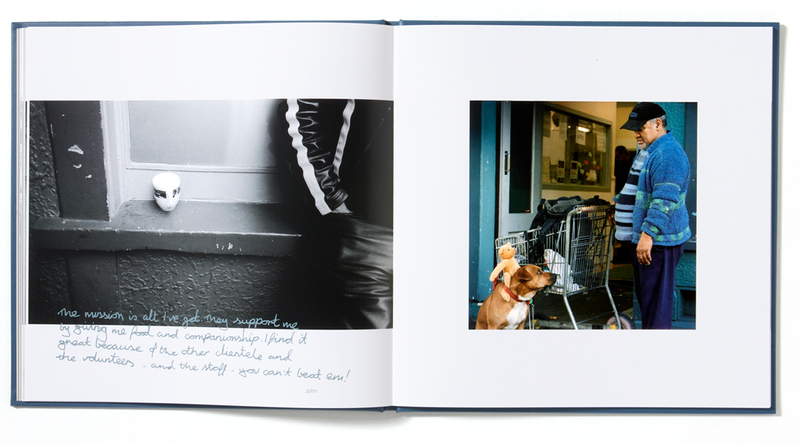 She documented what she saw in a remarkable, sensitive and empathetic series of photographs which really reflect the warmth of the relationships between the homeless people and the Mission staff and volunteers. We also interviewed residents and staff to share their own stories and experiences. 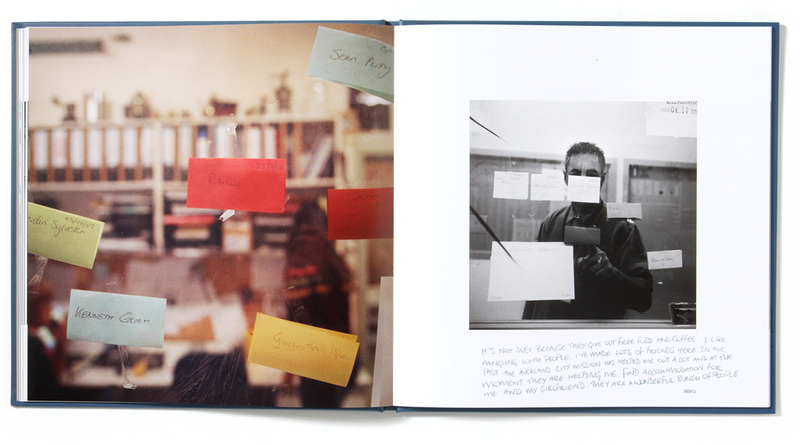 It was important to us that we showed the personality of the people we were photographing, even when they didn’t want their faces to be shown so we used actual handwriting to make that personal connection between the images and the stories behind them. 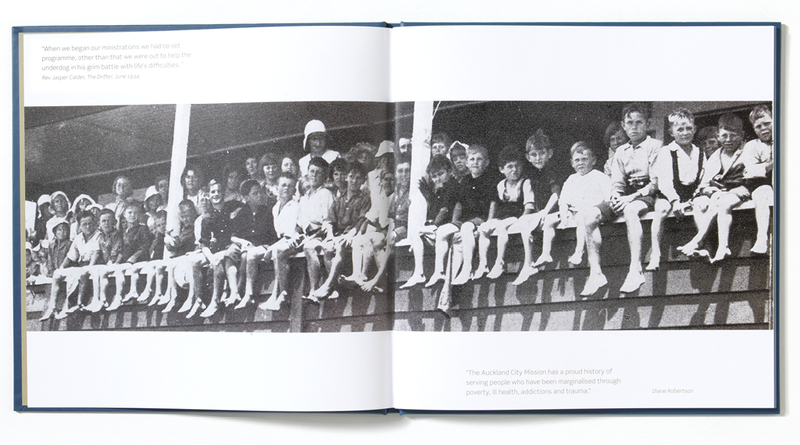 The Mission gave us access to their own archive of press cuttings and photographs going back to their origins in 1934 so we were able to add some historic context to the work that they are doing currently. 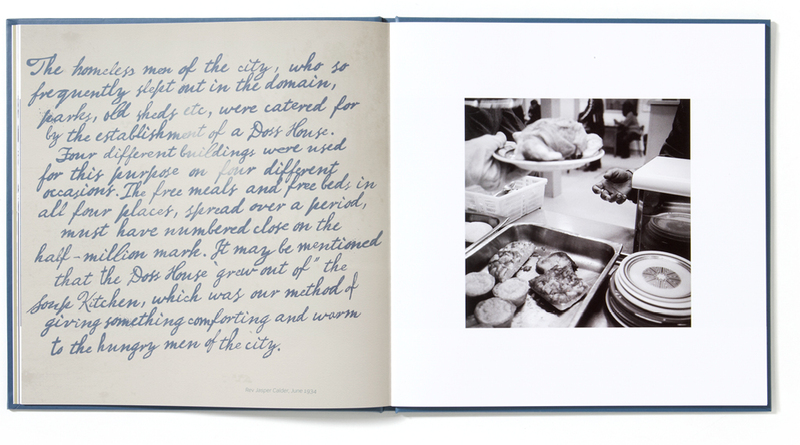 We put the stories and images together in a book – People: Auckland’s Capital – which was published as a hand-numbered limited edition run of 250. 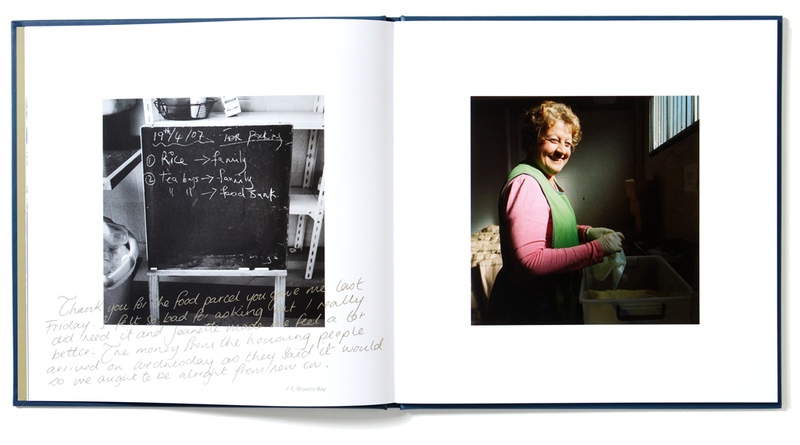 The final product was a beautiful but poignant portrait of a community of people, often marginalised or ignored, and a unique organisation dedicated to helping them to get back on their feet and reclaim their dignity.